A 14k solid gold starfish pendant made in the U.S.A.! The gold starfish pendant measures 1 3/16" tall (inclusive of hoop/bale) x 13/16" wide. The pendant weighs approx. 2.73 grams of 14k solid gold. 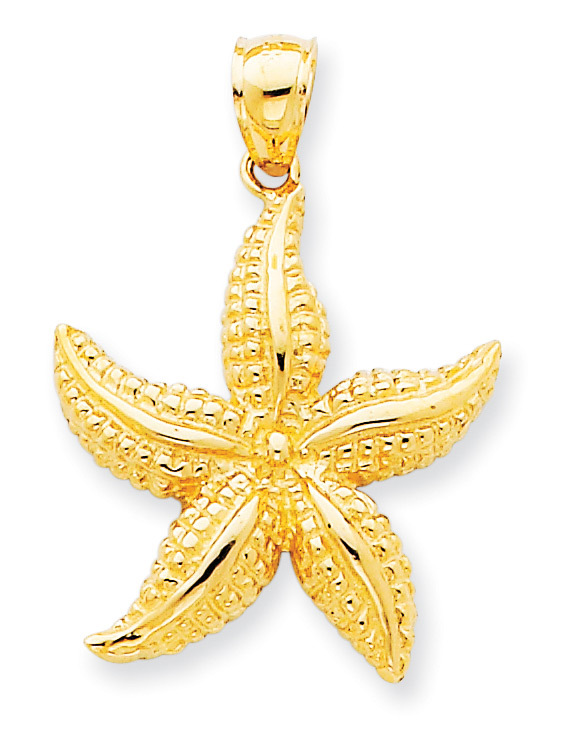 We guarantee our Starfish Pendant in 14K Gold to be high quality, authentic jewelry, as described above.